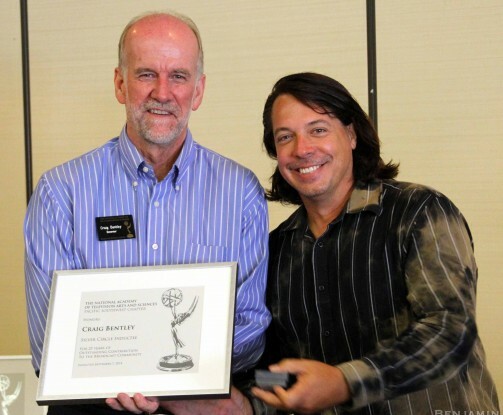 Imageworks President Craig Bentley (left) was inducted into the Television Academy’s Silver Circle for the Pacific Southwest region on Sunday. The Silver Circle signifies 25 years of outstanding contribution to the broadcast community. Craig was introduced by Devin Scott of American Dream Cinema.